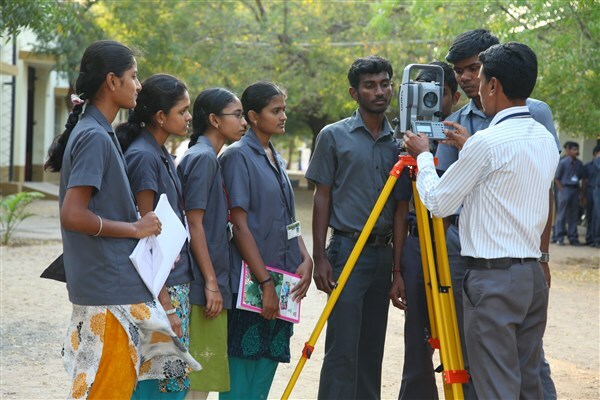 The Concepts in Surveying Laboratory was established to allow students use of state-of-the-art surveying and plotting equipment. 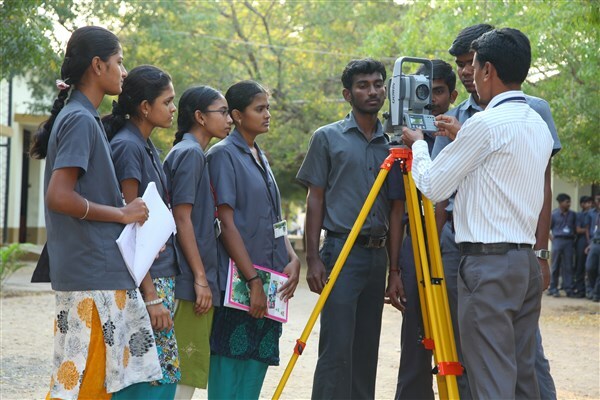 The functionality of the laboratory lies outside, where students are expected to actively survey and plot complicated sets of data points. This lab course enables the student to draft on computer building drawings (Plan, elevation and sectional views) in accordance with development and control rules satisfying orientation and functional requirements for the Buildings with load bearing walls (Flat and pitched roof) – Including details of doors and windows, RCC framed structures, Industrial buildings, North light roof structures, Trusses, Perspective view of one and two storey buildings. This lab helps to study the strength and different stresses developing in machine parts under different forces Strength of materials most often refers to various methods of calculating stresses in structural members, such as beams, columns and shafts. The methods that can be employed to predict the response of a structure under loading and its susceptibility to various failure modes may take into account various properties of the materials. The Mechanics of solids lab is equipped with the Universal Testing Machine (UTM), Izod-Charpy test, bending moment calculation etc. The study of pumps and turbines and its mechanisms will enhance the student’s knowledge to choose the right equipment for right work such as pumping the water this lab gives the overall knowledge about the production of power from water by using the different turbines. 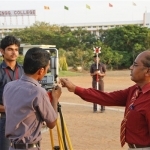 This lab helps to study the principles and procedures of testing Concrete and Highway materials and to determine the physical properties of building construction materials like cement, fine and coarse aggregate, and strength characteristics of cement mortar, plain cement concrete, reinforced cement concrete and various bitumen tests. 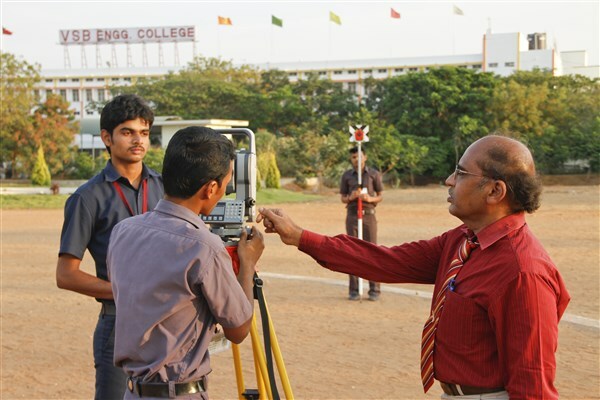 The student acquires the capacity to test the soil to assess its Engineering and Index properties. The students able to understanding of the fundamental concepts of mechanics of granular materials; including the behaviour of multiphase materials and their constitutive behaviour. 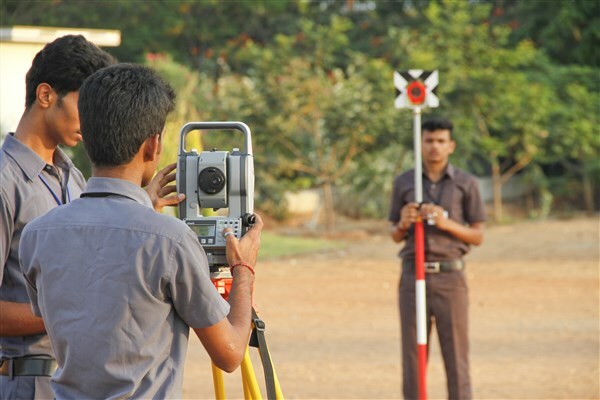 It helps understand the basic mechanical principles underlying modern soil mechanics and to create an understanding of assumptions that are inherent to the solution of geotechnical problems.